If you’re searching for dependable Tampa landscape services, look no further than Evergreen Total Landscape. Customers in the Tampa Bay area have loved us for more than 25 years because of our comprehensive landscape services and commitment to providing the total customer experience. We take pride in building lasting relationships with each and every one of our customers and ensuring that their dream landscape vision is brought to life and stands the test of time. No matter which service you need, you can rest assured that you will benefit from our proactive approach. We regularly inspect the properties we maintain to ensure everything looks great and immediately address any problems that arise. Plus, we have the knowledge and foresight necessary to make certain that everything is done right the first time, saving you money in the long run. 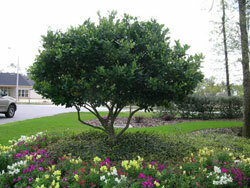 If you would like more information about our Tampa landscape services, please call or e-mail Evergreen today. We also proudly serve customers in Lakeland, St Petersburg, Clearwater, and other surrounding communities.